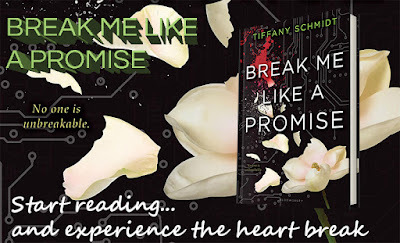 Google+ Reading Teen: Blog Tour & #Giveaway: Break Me Like A Promise by Tiffany Schmidt..
Blog Tour & #Giveaway: Break Me Like A Promise by Tiffany Schmidt.. 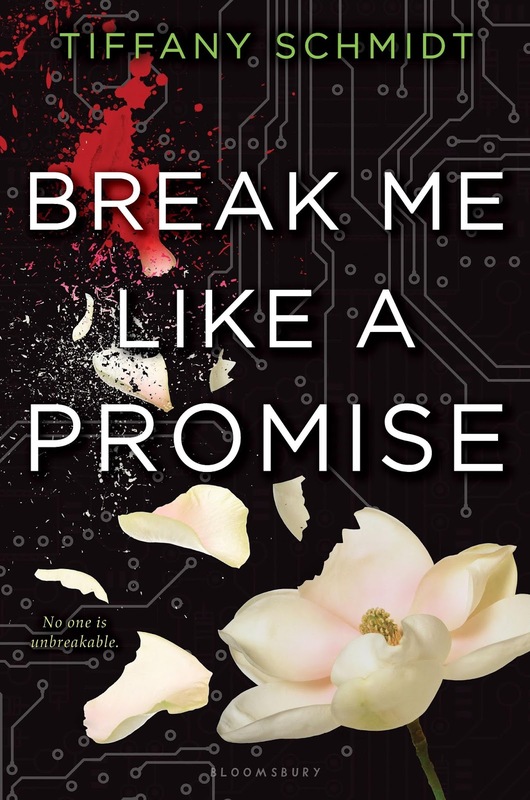 Break Me Like A Promise was a book I was interested in, because it continues the fascinating story of a mob family who specializes in the black market of organ trading, which hello! That is so cool and unique! 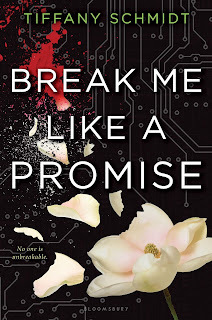 I liked the previous book in the series, Hold Me Like A Breath, but I absolutely ADORED Break Me Like A Promise. Both are fairy tale retellings, which makes me love them both even more, especially since they are retellings of fairy tales that I can't say I've ever seen before. Break Me Like A Promise doesn't follow Penny Landlow, like Hold Me Like a Breath does, so it's more of a companion novel, but to be up to speed on the events in BMLaP, you should definitely read book 1 or a lot of it probably won't make much sense to you. Break Me Like a Promise follows Maggie Vickers, who is suffering through her grief and emotional upheaval after the horrendous and brutal death of her secret love, Carter Landlow. Of course since their love was kept on the down low until after his death, not much of her family is there to help her work through her grief. It broke my heart each and every time she broke down. I've lost a lot of close friends in my life, so I understand exactly where each of her feelings were coming from. It's a darkness that's extremely hard to pull yourself out from, especially if you don't have the right support system to help you work through it. I couldn't imagine what that must have been like for Maggie. As her daddy's right hand woman and next in line to take over the family business, Maggie has to figure out a way to pull herself out of this slump and get back to work, but with the Organ Act and her dad's sudden approval of it on the horizon, Maggie isn't quite sure what she believes herself. Enter Alex, a guy she meets at a computer repair shop who ultimately black mails her into getting him a new kidney once he finds out who she is. Of course, Maggie isn't too thrilled and agrees to it just to get her system fixed, but she never expected that Alex isn't the type of person to just sit back, relax, and forget about the promises Maggie made to him, because this promise is more than just a promise...it's life and death for Alex. Like it or not, Maggie now has to find a way to save herself, her family's future, and now Alex's very life, and along the way, finds herself falling for more than she bargained for. I loved watching Alex and Maggie's relationship bloom. It was a slow-burn type of romance, but one that worked perfectly within the overall story at hand. There's swoons, friendship, betrayal, surprises, suspense, old friends, mystery, tears, and even more. Like I said, Hold Me Like a Breath didn't work well for me, but I think that's because I didn't emotionally connect to Penny like I did with Maggie right off the bat. I truly think this is a series worth checking out simply so you can read Break Me Like a Promise. It's worth it....so, so, SO worth it. 4 pieces to Break Me Like a Promise! Fantastic job, Tiffany! LOVED it! Romantic Times (Top Pick): “Start this series immediately"
Booklist: "The outstanding second romantic suspense novel in the Once upon a Crime Family series...Schmidt brings Maggie’s pain to life, and readers will rejoice when this prickly, pushy heroine starts to heal." In Penelope Landlow's world, almost anything can be bought or sold. She's the daughter of one of the three crime families controlling the black market for organ transplants. Because of an autoimmune disorder that causes her to bruise easily, Penny is considered too "delicate" to handle the family business, or even to step foot outside their estate. All Penelope has ever wanted is independence-until she's suddenly thrust into the dangerous world all alone, forced to stay one step ahead of her family's enemies. As she struggles to survive the power plays of rival crime families, she learns dreams come with casualties, betrayal hurts worse than bruises, and there's nothing she won't risk for the people she loves. Perfect for fans of Holly Black and Kimberly Derting, this first book in the stunning new Once Upon a Crime Family series from acclaimed author Tiffany Schmidt will leave readers breathless. 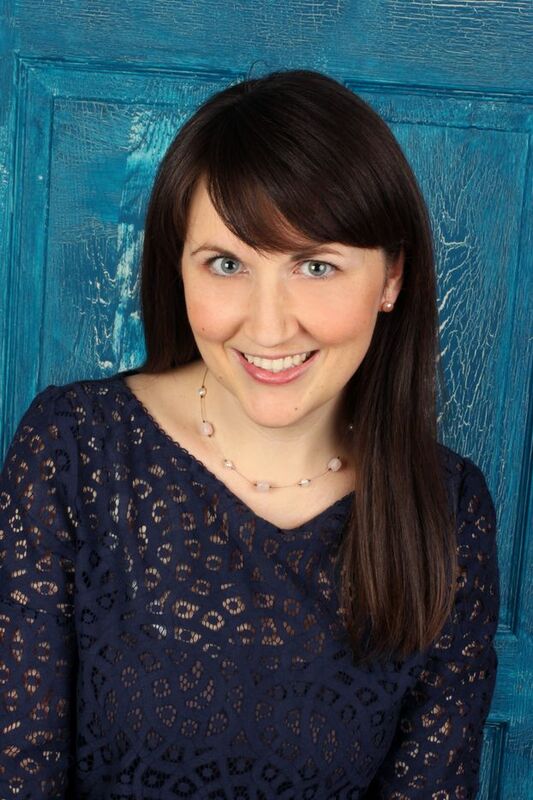 TIFFANY SCHMIDT is the author of Hold Me Like a Breath, Send Me a Sign, and Bright Before Sunrise. She's found her happily ever after in Pennsylvania with her saintly husband, impish sons, and a pair of mischievous puggles. Find her online at www.TiffanySchmidt.com or on Twitter @TiffanySchmidt. Giveaway 1: ORDER THE BOOK... AND WIN! Order Break Me Like a Promise or Hold Me Like a Breath (book 1), forward your receipt to breakmegiveaway@gmail.com, and you’ll win something at the conclusion of the giveaway, July 7th, one month after Break Me Like a Promise’s launch. What will you win? It’s a surprise! There will be signed books, ebooks, swag, and more. It’ll be completely random as to who wins what (via random.org). This one, unfortunately, is open to US only due to shipping costs. Giveaway 2: SPREAD THE WORD... AND WIN! You can win a copy of Break Me Like a Promise, or if you’re new to the series, Hold Me Like a Breath for spreading the word. Enter via the Rafflecopter. Open to wherever The Book Depository ships.